In a collaboration with Intel in 2011, incredible electronic artist, Robotaki, took to revamping "Visual Dreams" by Girls' Generation. Robotaki worked with producer derekcsy90 to create this seemingly effortless MV for the song and we're living for it! With influence from Breakbot, Chromeo, Shook and more, this is an awesome rework that serves as a must-listen for all K-Pop fans that love a slight twist on their favorites. 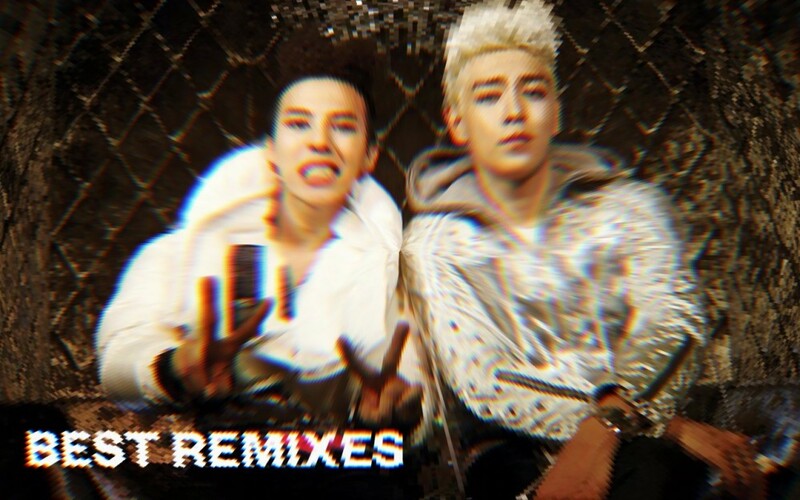 556 Music offers many remixes and reworks of famous K-Pop tracks. This includes not only the song above but songs like Red Velvet's "Red Flavor" and EXO's "Ko Ko Bop" are also tracks he has modified for a new sound. This particular remix of BTS "DNA" is incredible- we love the funky and rhythmic rehashing of the song's instrumental. "DNA [Disco/Funk vers.]" would make for a perfect addition to any DJ set. An oldie, but a goodie nonetheless is the mashup created by YouTube user, 'holiday447edit'. By using BoA's "Disturbance" and Justin Timberlake's "Suit and Tie" this crazy mash-up is just so insane that it works! The jazzy instrumental that Disturbance offers gives a cozy, coffee shop feeling that lingers when you listen to it! Though "Woo Hoo" by Mamamoo was just a song written for a CF, Areia, a talented artist, took the track and reworked the whole thing to be an incredible EDM song! We absolutely adored the original, but now we're willing to sell our souls to see a life performance of "Woo Hoo (Areia remix)"! The drop is absolutely jaw-dropping and makes us wish we were at a music festival! Red Velvet's "Russian Roulette" is already an extremely complicated instrumental with flawless vocal overlay, but Shaun of Korea took the track and flipped it to the next level. By adding fun 8bit noises and synths, bells, and trap-inspired influence, he was able to create a completely unique "Russian Roulette". GD & TOP are an iconic pairing in K-Pop and we can't think of anyone better to do a whole 180-degree rework of their songs than the South Korean indie band, Glen Check. They revamped the entire track to have a lo-fi 1980's vibe and we are LIVING for it! Glen Check is great at maintaining the "jibe hajima" lyric hook to "Don't Go Home", but creating and employing a brand new instrumental for the song at the same time! This mashup is an epic one! The track is a mix between SHINee's iconic track, "Ring Ding Dong" and Britney Spears and Will.i.Am's iconic song, "Scream & Shout". Though this is an older mix of two dated songs, the longevity of this rework lives on today as a really fun 'getting ready to go out' anthem. This incredible three-way mashup is made by Miggy Smallz. This track is the perfect medley of mixing between TWICE, BLACKPINK, and Red Velvet. It almost seems like these three songs were made to be put together. We hope one day we'll see a large-scale girl group collaboration as a special stage on a music show! By utilizing the instrumental for Heyahe's "One", the track for "The 7th Sense" goes from intense and edgy to mellow and laid back. The piano serves as the connector that works with the vocals from the original song. If you're looking for a remix that's more relaxed and easy-to-listen-to, this is the way to go. Created by the talented iPARTYNAUSEOUS, this NCT U rework is perfect for a Sunday afternoon.